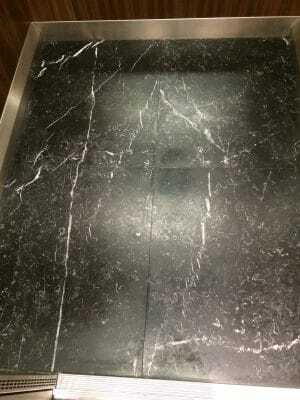 This is a repair on black marble floor tiles in a lift. One of the tiles has had its corner cracked and a 4cm sq section has come away. 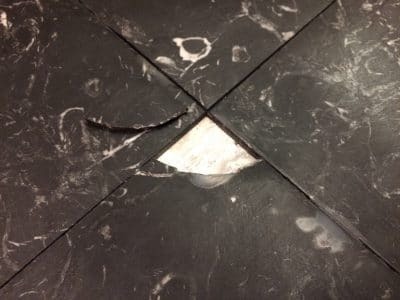 Broken 4cm sq marble piece is out for cleaning and resin repairs. 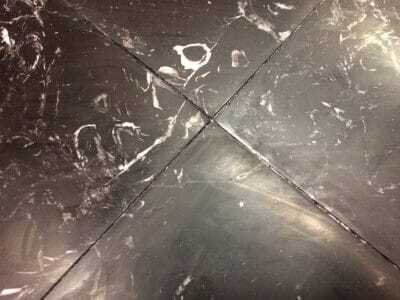 Crack is fixed with Stone glue to mimic a natural vein in the marble. Over view shows no obvious repairs in the lift floor and the entire floor is cleaned and sealed.